If your desk needs some scary, dragon-themed ornamentation, the Collector's Edition of Skyrim has you covered. Skyrim will have lots of dragons, but it will only have one dragon god, the dreaded Alduin, who seeks to bring ruin to all of Tamriel. 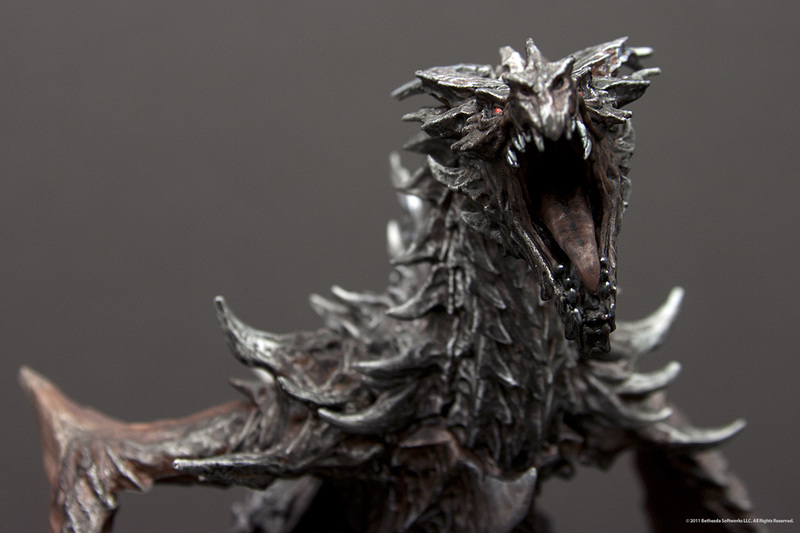 Perhaps in an effort to placate the world-destroying deity, Bethesda has crafted a statuette of Alduin, which it is including in the Skyrim Collector's Edition, and is giving us a sneak peek of ahead of the game's release. As befits a dragon, the statuette is rather large, standing 12" tall. There's a really stunning level of detail on it, from the spikes that line Alduin's back - not to mention his his face, chest and tail - to the texture on his massive wings. 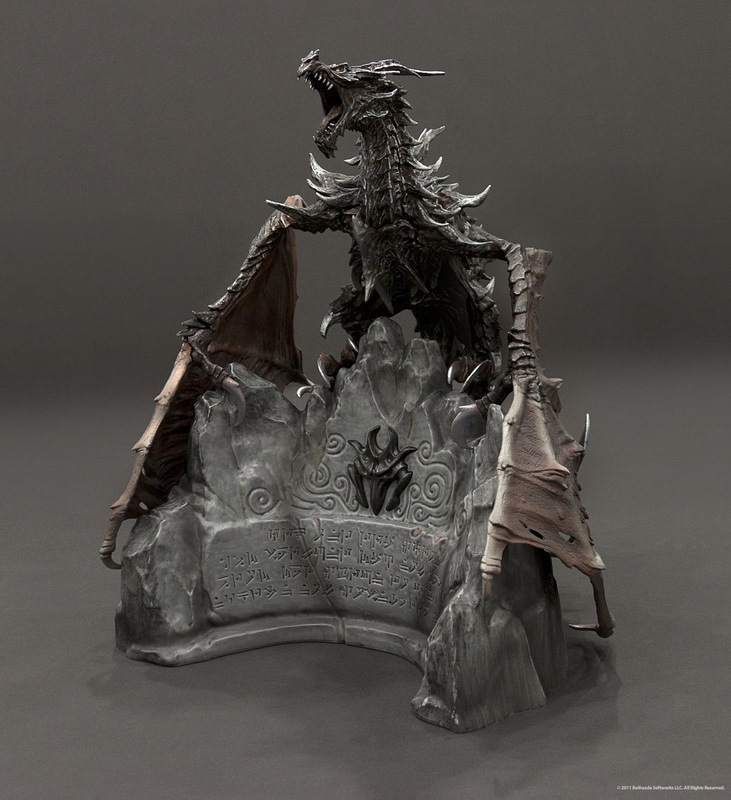 The dragon stands on a pedestal, which bears a runic inscription, probably the same one that graced the Game Informer cover from earlier this year and foretold Alduin's rise. 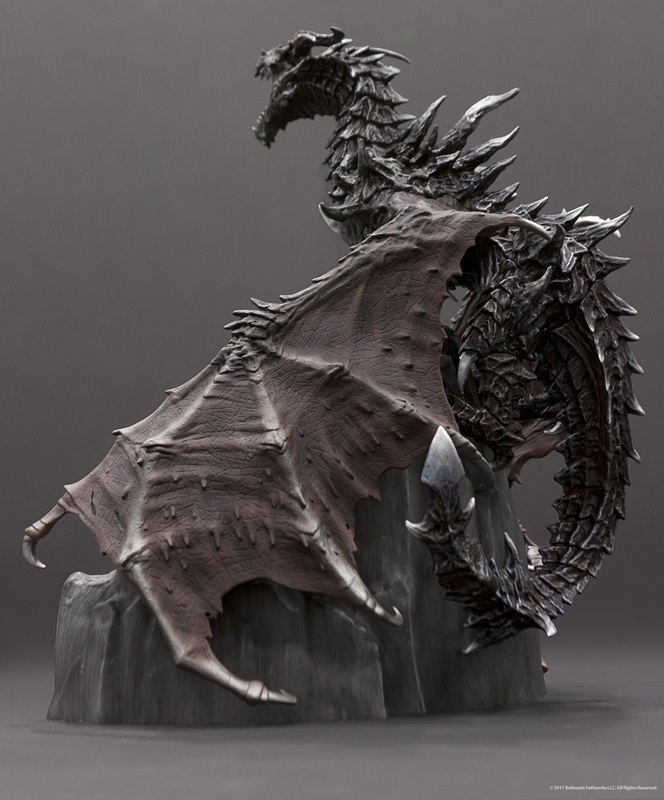 Bethesda says that there are more Collector's Edition goodies to come, but I can't imagine anything topping a large statuette of an angry dragon. Maybe a sword, or something, but I suppose actual weaponry is a bit much to ask. Skyrim comes out on PC, PS3, and Xbox 360 on November 11th.